Hi everyone! As someone that is always scouting around for (and scoring deals) there is nothing like the feeling of finding something you love – for a whole lot less! IKEA is one of my go-to places to purchase affordable furniture that can easily be upscaled with a little wood trim and paint. As much as I enjoy the satisfaction of transforming something myself, I also love finding things for a fraction of the price. While I was working on a blog post about one of my favorite interior design trends, I stumbled across a pendant chandelier that I immediately recognized. 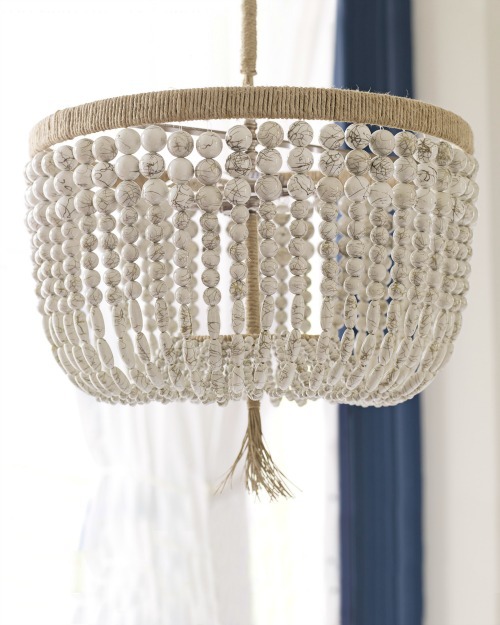 It is a beaded chandelier that is a perfect marriage of boho meets glam. 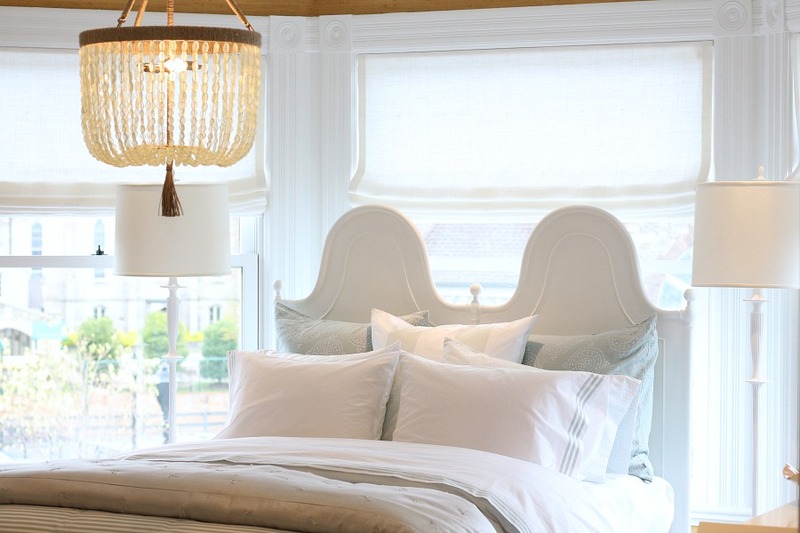 The “original” chandelier is in Serena & Lily’s Westport, Connecticut Flagship Store. This copycat version can be found at World Market and I’ve included the links for you! I first saw the chandelier when the store first opened in May 2016. The back story is that I was invited to a private launch party the day before the store opened to the public. I remember getting a tour of the store and taking a lot of photos. They set up a bedroom vignette on the second floor that was so stunning, I didn’t want to leave. The chandelier was definitely one of the stars of the room and it is the very first photo that I featured on my blog post. You can see all the photos and read all about the Serena & Lily Westport, CT blog post HERE. Below are the images and links to both stores if you are interested in this chandelier! Happy shopping! 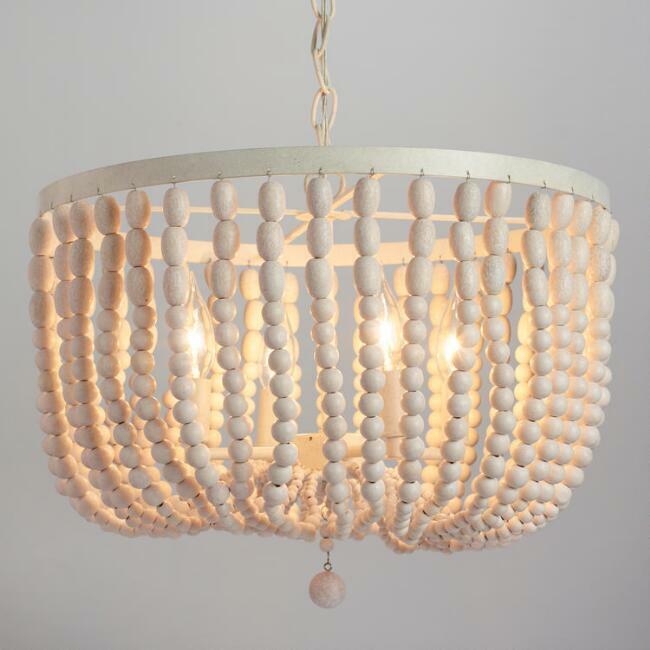 Serena & Lily sells this chandelier for $1,358.00. They call it the Malibu Chandelier, and it’s made from wooden beads that have been strung together. It is very, very pretty. A copycat version of this chandelier is available for $199.99 at World Market for $1,200.00 less! Not a typo. Granted, they are not identical (I don’t think the World Market version has gold veining) but they are incredibly similar. Below is a side-by-side comparison, with both versions lit and unlit. If you liked this post, please take a moment to “like us” back on Facebook HERE. Thank you!